THE SPOTTED HARE: Tis winter still . . .
Tis winter still . . .
white is all I see when I look out the studio window. steel shot to nestle into your hand. Pippin wears a custom knit jumper with a scarf to keep the chill away! Oh L ~ what a little sweetie!!! ...Enjoy the snow & stay toasty! 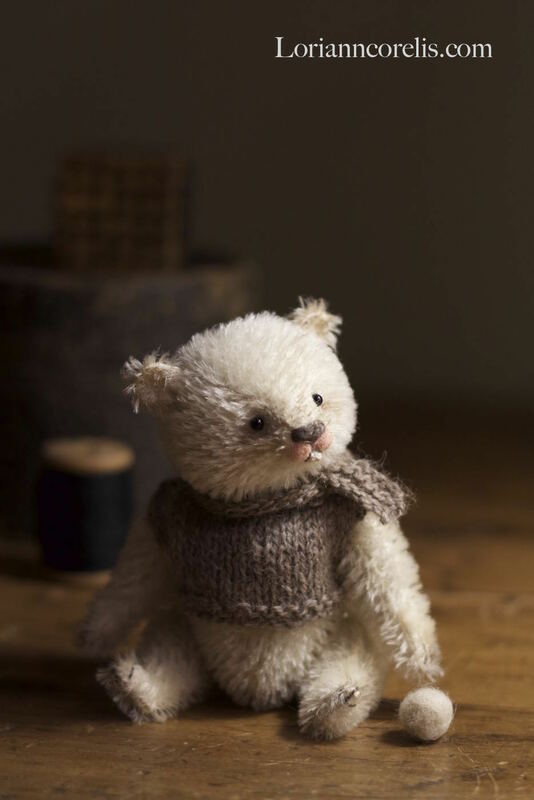 Your little winter bear is delightful Lori, I do love him. he is lovely!! so sweet, what a lot of work! just stunning little bear. Freezing here in Ohio too!